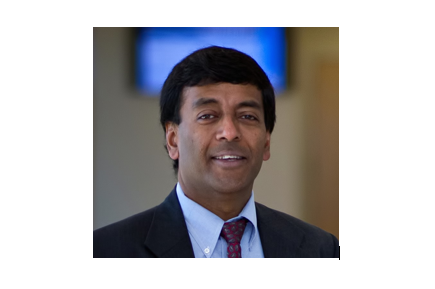 "A New Approach to Goals-Based Wealth Management"
The 2018 Harry M. Markowitz Award was given to “A New Approach to Goals-Based Wealth Management,” by Sanjiv R. Das, William and Janice Terry Professor of Finance at Santa Clara University's Leavey School of Business and co-authors Daniel Ostrova, Anand Radhakrishnanb and Deep Srivastavb. Candidates for the annual award are chosen from among papers published in The Journal Of Investment Management (JOIM) in a calendar year. Final selection consists of Nobel laureates Harry M. Markowitz, Robert C. Merton, Myron S. Scholes, and William F. Sharpe. An honorarium of $10,000 will be bestowed to the winning paper. Professor Sanjiv Das regularly delivers an elective course on Data Science, Analytics and Algorithms to candidates of the EDHEC PhD in Finance programme. The course prepares participants for more rigorous analysis of large data sets as well as introduces machine learning models and data analytics for business intelligence. Paper is available at https://www.joim.com/wp-content/uploads/emember/downloads/p0581.pdf and will be presented at the Spring JOIM Conference / May 14 – 15, 2019 in New York. More information on the award and on EDHEC PhD in Finance Affiliate Faculty.